River Park Clean-Up Day is here! POSTPONED UNTIL SATURDAY, 4/21 AT 12PM! Are your rakes, lopers, lawnmowers, string trimmers, and garden gloves begging you to take them out for an afternoon of fun in the sun? 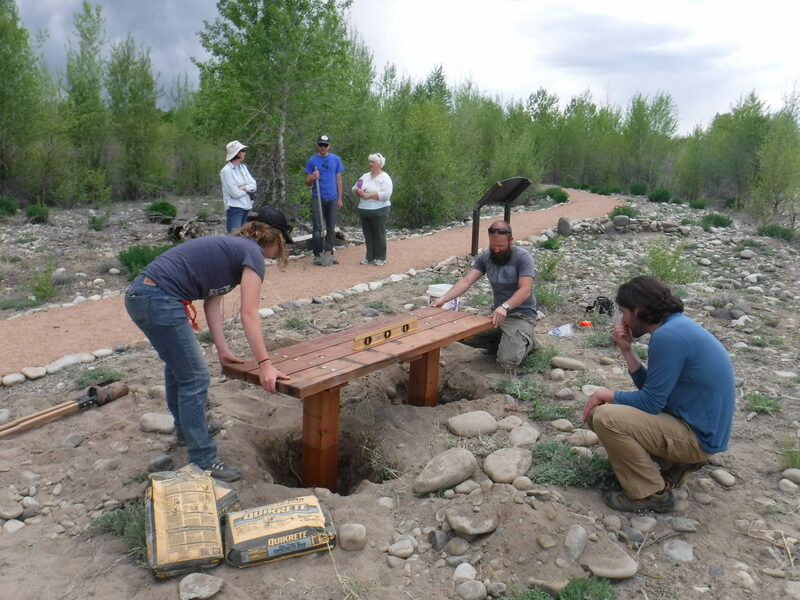 Join us at the Paonia River Park on SATURDAY, April 21th at 12pm (NOTE NEW DATE!) to celebrate Earth Day and give the park a spring re-fresh. We’ll tackle trash clean-up, trail improvements, invasive species removal, weed wacking, mowing and more to get ready for summer at the park. After a rigorous afternoon of park management, we will head over to Revolution Brewing for happy hour! RSVP to Jake Hartter, Watershed Coordinator, at 970-527-5307 ext. 208 or email Jake for more information and what tools to bring! See you there! Grand Mesa, Uncompahgre, and Gunnison–Forest Planning, Oh My!